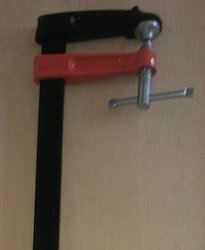 On offer from us is available F Clamp for our valuable clients. 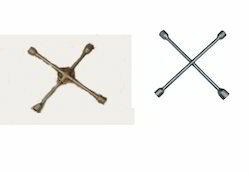 Under this range, we offer sturdily designed F Clamp Hobby Type, Carpenter F Clamp and F Clamp Nurrled Model. These clamps are designed and engineered under the guidance of experienced engineers who make use of hi-tech machines and optimum quality metals in the fabrication process. Apart from this, in order to ensure zero defect in the offered clamps, we precisely check these on set parameters. 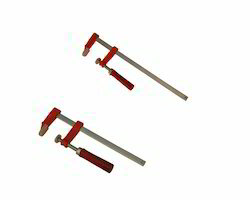 We are one of the leading manufacturers, suppliers and exporters of F Clamp Nurled Model. 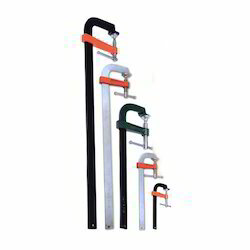 The offered clamps are designed in a sedulous manner by our skilled workmen, making use of optimum quality special SGS material and advanced techniques. Furthermore, we make it a point to design these clamps in tandem with the set industry guidelines and standards. In addition to this, the strip is made using carbon steel that is provided with knurling on both sides, hence providing a firm griping. 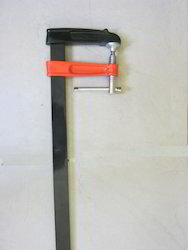 Our organization is highly acknowledged in the market for manufacturing F Clamp Hobby Type. These clamps are manufactured using high quality metals that are procured from reliable market vendors. In addition to this, to suit the specific demands of the customers, we have made these available in various types of sizes and gross weights. The product is also known by its Italian name as Strettoi Hobby Cromate M/Legno. 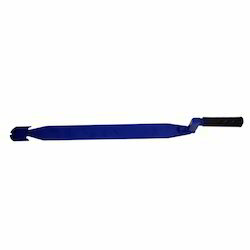 Since our inception, we have been successfully designing and fabricating a broad array of Slatter Ripper. Our products are developed in a rugged manner as per the set quality norms and guidelines. Furthermore, we use high-grade quality metals in the manufacturing process to ensure that a seamless gamut gets delivered at customers' end. The product is also known by its Italian name as Chiave A Croce Per Auto Cromata. Looking for F Clamp ?